tissues of the body known as the dhatus, and is focused on the lymphatic system (rasa). own comprehensive breast check and self-massage. offerings. Molly has spent the past 4 years studying Ayurvedic medicine and healing bodywork. planner, which satisfies her creative side and love for fun. Shakti Hoku Douglas has been a Big Island resident for the last three decades. As a business owner, she has been able to help people’s dreams come true thru real estate and personal coaching. As a Community Coordinator, she helped create a home for the Hiccup Circus as well as instructing hundreds of children in circus arts. 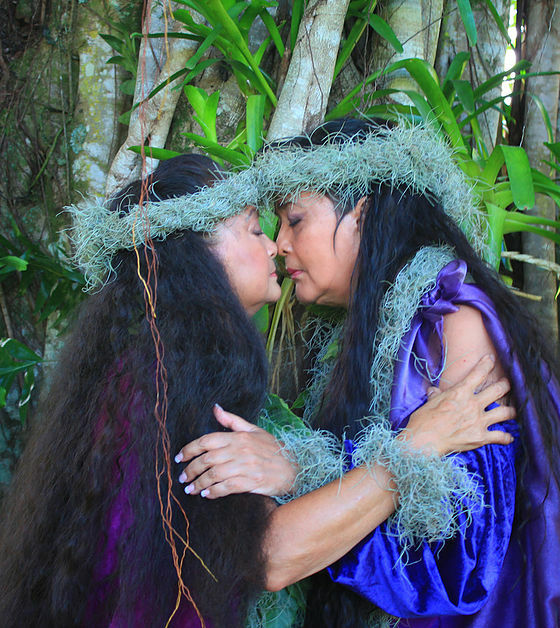 Presently, she uses her talents as a professional mediator for the Ku'ikahi Mediation Center, publishes a local site for events and happenings in the Puna area, coaches women around the world, and hosts local women and couples groups. She is the proud mother of her Puna grown daughter who now travels the world as a professional Circus Artist/Performer. As a co-founder and Program Director of Girls to Women Mentoring Hawaii, Shakti is excited to share the self-love technology she has learned with mentors and girls. So many of us yearn to share our voice and our ideas in a more public way and yet we can feel held back by our fears. In this workshop through gentle somatic exercises and group dialogue we will uncover some of those fears and gently invite forward the leader within us that is here to make revolutionary change in our communities and the world. In this supportive, Fempowered circle we will collectively open into the next level of our expression discovering what we would like to be a spokeswoman for and embracing our unique genius with love and grace to be of highest service. Alia Metcalf, aka ALIA, is an acclaimed Electronic Music Producer, Coach, Author, Speaker, and Teacher passionate about awakening the feminine voice through all aspects of creative expression and leadership in order to empower the expansion of feminine intelligence on the planet as a respected aspect of culture, business, media, and society. Her workshop focus will be on undulations up and down the spine through energy centers for health and longevity as well as shimmies and vibrations to stimulate the lymph system. Carla "Aleili" Orellana Aleili is a life-long practitioner and inspiration in the ancient wisdom of the Sacred Feminine through Belly Dance. She is also a Certified Yoga Therapist C-IAYT, E-RYT500, Sacred Folkloric Belly Dance Instructor, Performer and Choreographer. Alila will be offering Jade Egg practices, a special Yoni Steaming ritual to let go of any old, stagnant energy, lovers, and cords to make space to receive that which is truly desired. Yoni Steaming is a potent and essential practice for lifting and toning the uterus, balancing hormones, and using herbal allies for prayer activation. There will be limited seats available so be sure to sign up the day of. Alila is a traveler ~ of spirit, heart and foreign lands. She has traveled to many corners of the globe, receiving ancient wisdom traditions while unraveling the universal language. Deeply rooted in the sacred feminine and ancient tantra teaching for over a decade, Alila is passionate about sharing tools and practices that liberate, activate and accelerate your evolution. She meets you with holy love and unedited truth that speaks directly to the soul. 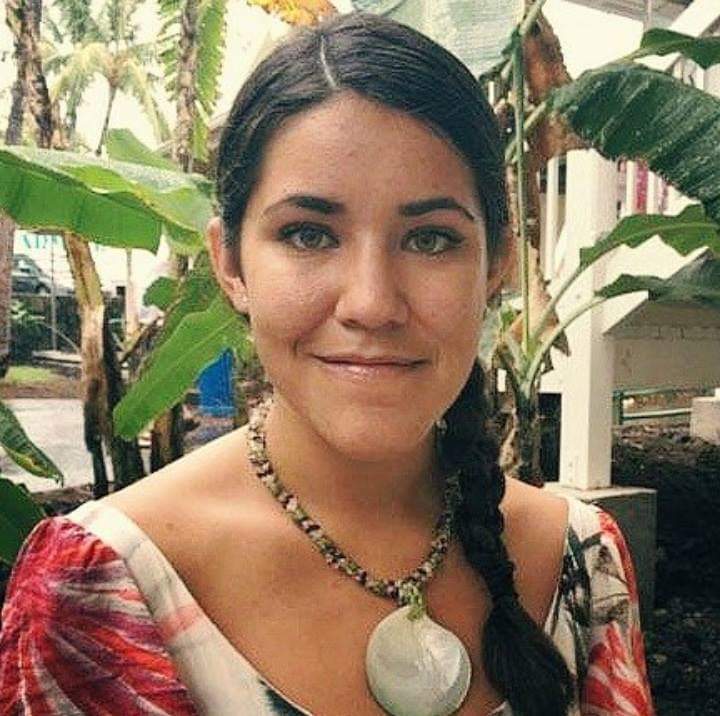 Founder and creatrix of Mahina Cup, she has assisted thousands of sisters to reconnect with their sacred body, cycles and blood. She believes we can create anything we believe we are worthy of and lives heaven on earth with her 1 year old daughter and partner on Big Island, Hawaii. Emily Kaye hosts monthly Red Tents in the Hilo/Puna area of Hawai’i. Sun ~ Moon Apothecary, focusing on women’s health and empowerment. embrace the embodiment of your wild, sensual creative energy. women to dance in~between the polarities, exploring the depths of sacred union like never before. This process takes you back to the time of your conception and birth into this lifetime- unlocking stuck energy, and resolving your primary foundation- everything you experienced during the time of your Four Baskets (conception to 6 hours after birth) sets the foundation for how you will experience life. This process allows opportunity for greater Awareness, Connection to your divine/source/higher self and basking in the transformative energy - which does the work of attuning, resolving clearing, releasing, opening, transmuting.... we simply see, ask & allow whatever needs to happen. used to influence the subtle energies of the human biofield including our emotions, our thoughts, and our beliefs. These tools include affirmations, visualizations, and the setting of intentions, in order to make permanent changes in our physical body. Elijah Carter is a licensed Physical Therapist. A profound spiritual experience in the late 90’s led to a change in perspective and enabled him develop a holistic approach to healing. This approach not only delivers lasting benefits but also enables one to pursue their own unique intuitive healing capabilities. Using his intuition, Elijah is able to work inter-dimensionally while while staying grounded by objectively documenting the physical changes in the body. 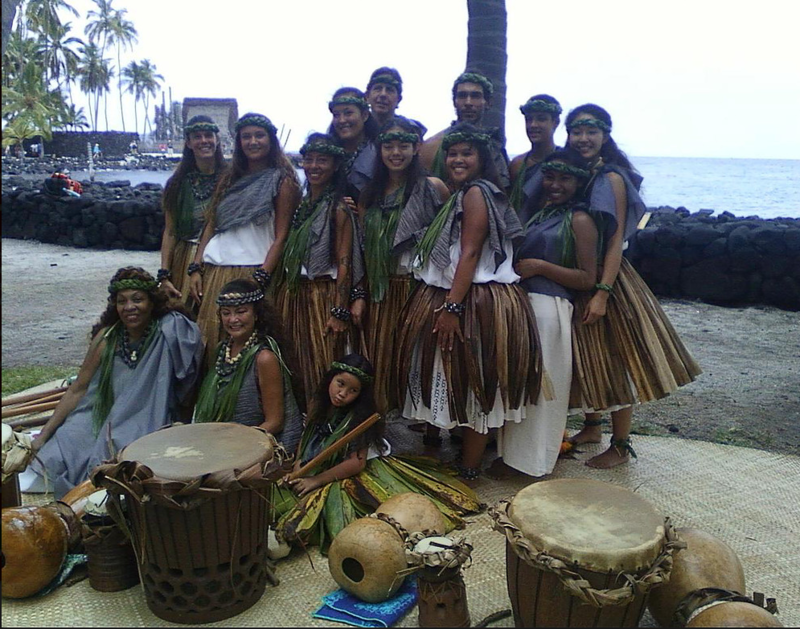 He has lectured internationally and maintains a practice on the healing coast of Puna, Hawai’i. An exploration of what causes the perception of two seemingly distinct sexes, why there seems to be inequality and conflict between them, and how to heal the sense of inequality and conflict at its source. This adventure will be accompanied by King & Queen, an essential oil blend by Miracle Botanicals containing Rose Otto and Agarwood (OUD). Hope Johnson receives and shares wisdom from beyond consciousness. Apparently born in 1972, she practices playing the harp and yoga, she also has 3 children, a husband, pets and an essential oil business called Miracle Botanicals. and moving our sacred temples via: a loving-kindness body meditation; yoga-movement-dance; and reflective journaling. Let us celebrate our beautiful bodies and offer gratitude for all we are blessed to experience through them. 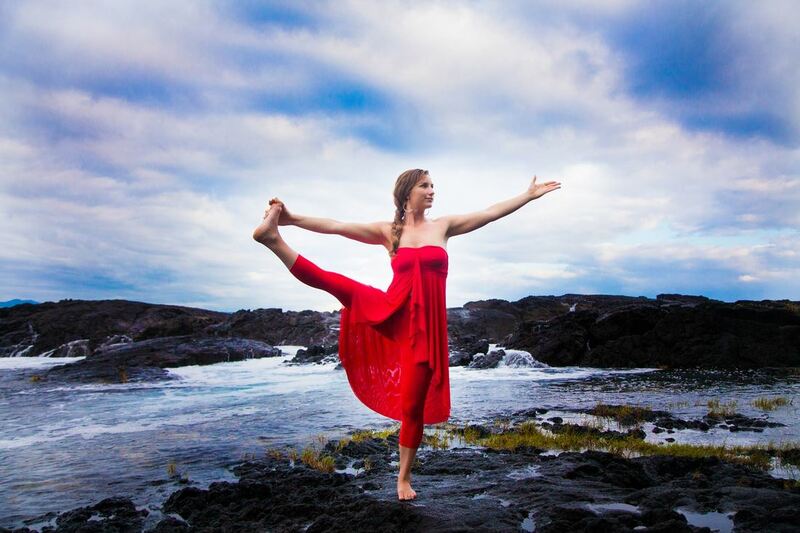 Marika is a dancer, yogini, Mother, avid surfer, Reiki practitioner, writer, and photographer. She holds a PhD in Human Ecology. Marika has been dancing her entire life, practicing yoga for over 20 years, and teaching yoga/dance/meditation classes for 8 years. Her classes encourage self-discovery; opening; releasing; transforming; and celebrating. Victim consciousness is prevalent in our third-dimensional world of mass-consciousness. We slip in and out of our awareness, unconscious of our creations and how our States of Mind create it all. I call this sleepwalking. If you recall, Victim Consciousness is the same as judging negatively, and believing that people, places, and things do something to us, such that we are not responsible for our own creations and are, instead, victims of circumstance. Or, we feel that we are responsible for others, or vice-versa. Denial is a prominent feature in victim consciousness because we believe that we will be spared some pain if we deny our responsibility. However, when you deny your responsibility, you deny your power to act responsibly. Sage is a gifted Intuitive Healer, Speaker, and Teacher who has been on the Spiritual Path for over 20 years. She has Lectured, taught Workshops and Worked one-on-one with thousands of people around the World. With her first teacher of 12 years, she studied and Mastered the Law of Creating your Reality. She ventured beyond the world of 3D with her second teacher, learning the Construct of her Mind, and how the mind must be seen and dissolved in order to go beyond the illusion of separation and the life/death cycle. Her breath is of Enlightenment; her greatest Love and Desire is assisting people in walking out of their minds and into Self-Realization. Having had many permission slips behind her name, she has come to realize the Truth is all that matters. Sage resides in Hawaii. We will share practical powerful tools of wisdom from her 20+ years spent training & teaching Martial Arts, Kundalini Yoga, Qi Gong & Sat Nam Rasayan. You will leave feeling clear, strong, & empowered on every level of your Being. We will focus on movement used to inspire the dance of the Sacred Feminine. Using Eastern and Modern dance techniques, we will drop into our bodies, especially our cores, and find the delicate, yet strong presence of the Goddess within ourselves. Aly Kat is a local artist residing in Lower Puna. She has taught and performed tribal style belly dance on Hawaii Island for the past 5 years, and studied with many of the founders of the style, such as Zoe Jakes, Kami Liddle, NagaSita, Rachel Brice, and Fat Chance Bellydance. She has also performed with many notable local belly dancers from Hawaii Island, Maui, and Oahu. She feels very passionate about this inclusive dance form that invites people to embrace not just a beautiful culture, but also themselves. Deepen your experience with the Ancestors. Sit at the feet our own local Wise Wombyn and Grandmothers as they share stories and blessings. Bathe in the magnificent Light of their Love, Power, and Wisdom. Halema'uma'u crater on the Kilauea volcano. Val has lived 30 years in Puna on Big Island, Hawaii. She holds degrees in Art and Psychology, and is a certified high school art teacher. She is currently self-employed as a planner and architectural drafter and designer. She has been drawing house plans and getting permits for Big Island projects for about 25 years. 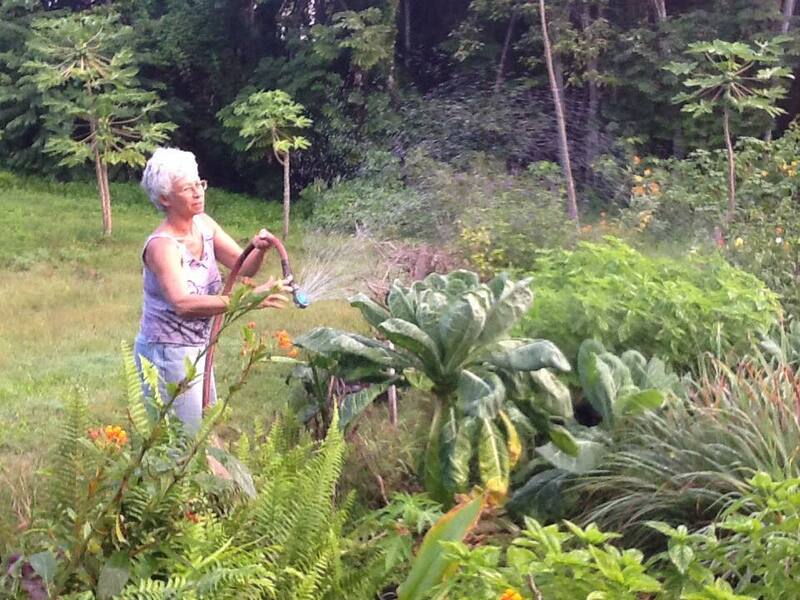 Val has spent many years practicing organic farming, including raising poultry. She has also been involved in amateur theater, with experience designing sets and props, running lighting and sound, acting and producing. She has studied herbal lore, played music, made art, experimented with magical practices and ritual, practiced and taught yoga. She loves dancing and swimming in the sea. We will harvest Ti and create lei which can be worn, kept fresh for several days on ice, and air dried as a souvenir for future enjoyment. Hawaii has long been known for its Ti leaves. The leaves are part of native, flowering plants that have been used by Polynesians for years. Considered part of the Cordyline genus, there are many types of Ti leaves that are used today. The various cultivars are generally separated into color groups. Among the most popular are green, purple, red and orange. In ancient times, the plant was used to make clothing, medicine, shelters, leis, liquor and sleds. It also played a role in island spirituality and royal politics. Believed to possess healing powers and protect its wearer against evil, the sacred ti leaf was once reserved only for Hawaiian royalty. People began to plant them around their homes as a form of home security rather than part of decorative borders. The homeowners were worried about evil spirits attacking their homes and they believed that the plants would keep the ghosts at bay as well as bring their families luck. Awa was the food of the gods, just as poi was to the Hawaiians. No religious ceremony was complete without the ‘awa. Kava kava (Piper methysticum) has become increasingly known in the Western world as a safe anxiolytic herb, tranquilizer, and relaxant made from the dried and powdered roots of the kava plant. As the worldwide demand for alternatives to anxiety medications and alcohol increases, the prestige of kava and its wonderful profile of effects has increased. 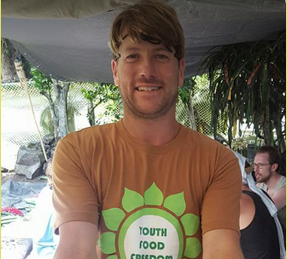 To indigenous peoples throughout the South Pacific, kava is a central aspect of social and religious life. Alexis discovered her love of kava when she found an opportunity to do work-trade on an organic kava farm, located in Hamakua. Although she planned to stay for only a few months, she ended up staying for 3 years. In that time, she learned from Zachary Gibson (1966-2018) kava man and owner of Kanaka Kava Bar in Kona. She learned what makes kava a cultural treasure to Polynesians, particularly for Hawaiians. With the growing popularity of this plant medicine in the U.S., she now leads kava ceremonies in order to bring awareness to people about the history and significance of kava. We gather in a sacred way to honor the Wild Woman in each of us through this workshop. We gather to go into our own Inner Wild. Women are guided on technique to hand craft our Wolf Masks out of natural materials / fiber and become the Wolf. We open to be inspired by the revealing and the reflections of wild women through each of our unique expressions. Facilitators will share stories of the Wild Woman archetype with excerpts from the the book by Clarissa Pinkola Estes PhD "Women Who Run with the Wolves "
We become the Wolf through our own stories. We become the Wolf through our own song. We become the Wolf through our own dance. in lush and life changing Puna! She is passionate about health and wellness. Farm to table! Superfoods! She opens space at her home for gathering, celebrating, healing! She is an certified Occupational Therapist trained in rehabilitation. Allison is a Wild Woman Circle Facilitator with thewildwomanproject.org. She listens and guides others to tune in to the inner voice. She honors ancient wisdom. She seeks the truth within. She respects our plant allies. Allison is led to cultivate the Wild Woman Spirit. So it Is! We will focus on pregnancy transformation. Through sharing stories of power and courage, we will explore and develop skills to support us through the journey.To edit, click on the text to start adding your own words. We will use our hands, our feet and our voices together to sing simple, meaningful and beautiful songs that connect us more deeply with life and the earth! And we will have fun! I've been singing and playing music all of my life and it is my pure delight to share music with children while nurturing their connectedness and wonder with this precious living earth. I have over 10 years experience working with children as a teaching assistant and after school care leader. 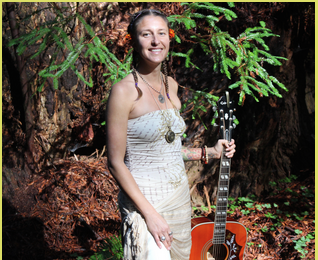 Currently I am based in Northern California, where I live, love, learn and produce my music. I lived on the Big island for most of my life, playing in the ocean and jungle, as the wild earth child that I am. Play, Joy, Happiness, lots of activity and laughter, and fun and games! Galen Alpine, of Pi'lani Farms, a sustainable and intentional community on the Red Road, renowned for its farm-to-table Kuleana Kitchen, food gardens, youth activity groups, and good vibes. A high energy, aerobic workout with live drumming. Learn African inspired movements will having fun and activating your mind, body and soul. Open to all levels and no experience necessary. 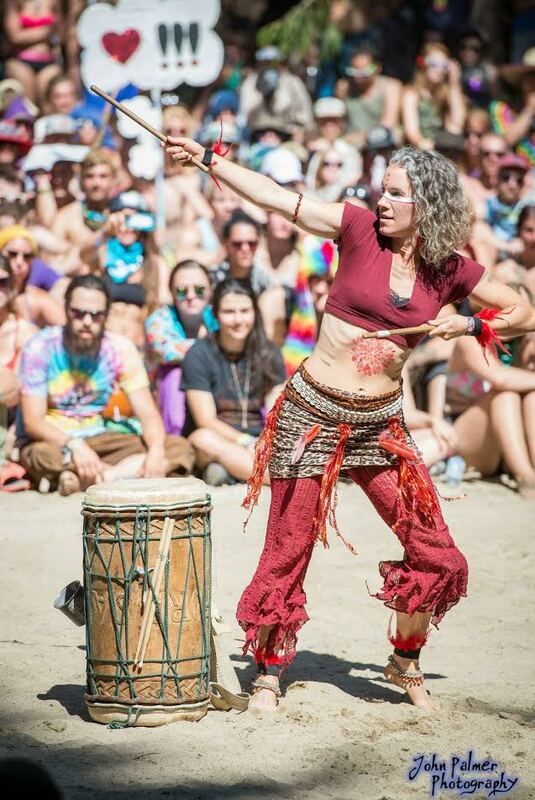 The call of the drums ignites a fire inside that has inspired and driven Beth Campbell to study West African drumming and dance for over 20 years. This led her to travel to Guinea and Senegal where she studied music, dance, and culture for 7 months. She has performed with numerous drum and dance collectives including Folikan in Oregon, and The Afreaks and Malicouda in BC. She has also taught at elementary schools and enjoys sharing her love of rhythm. Some of her teachers include Mabiba Bagne, Fara Tolno, Mamady Keita, Koungbana Conde, Nato Camara, and Yousouff Kombassa. Currently, she teaches dance classes in Winlaw, BC and has a drum dance troupe, In the Sticks, which tours throughout BC, Canada.